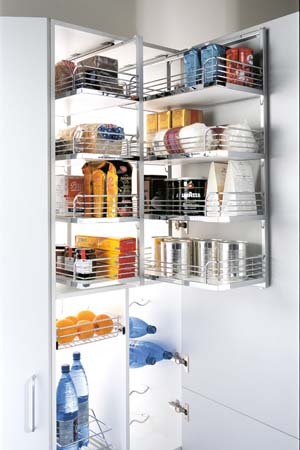 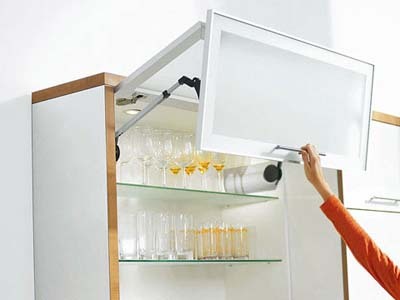 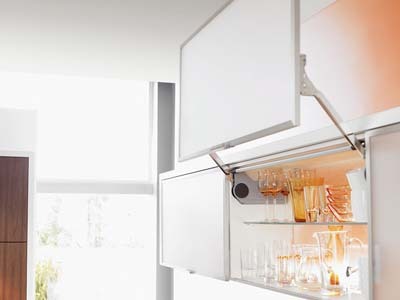 Lift systems enable you to lift up fronts providing unhindered access to the interior of wall cabinets. 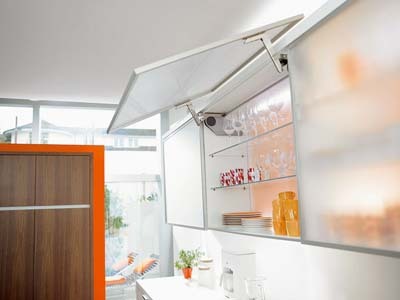 The AVENTOS lift flaps open easily, remain in any desired position and close silently. 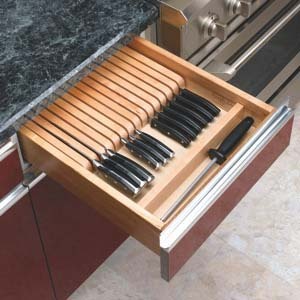 Corner cabinets are often the least organized cabinets in a kitchen. 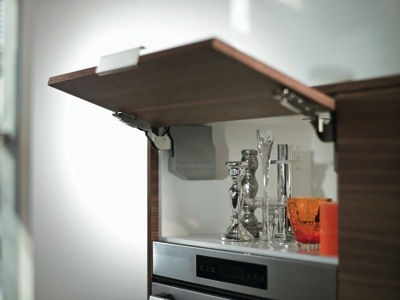 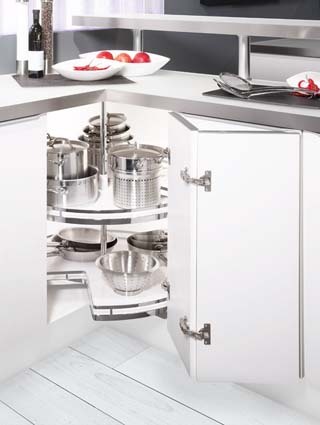 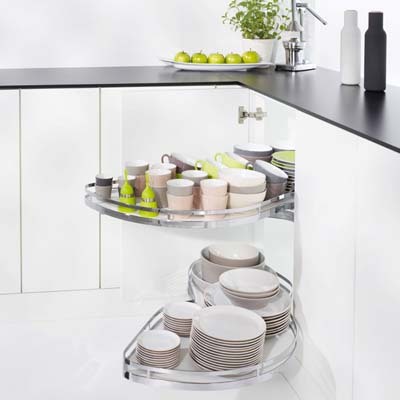 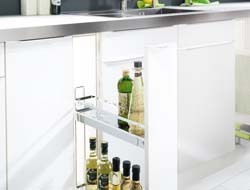 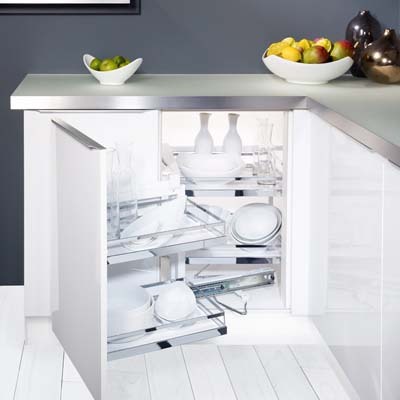 Aero Kitchen offers many solutions, each more functional than the last. 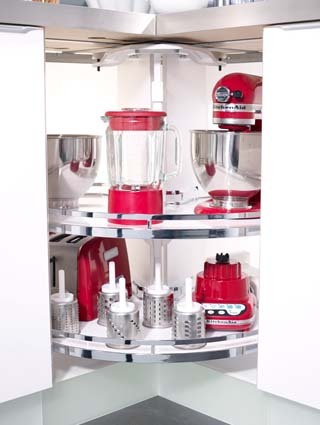 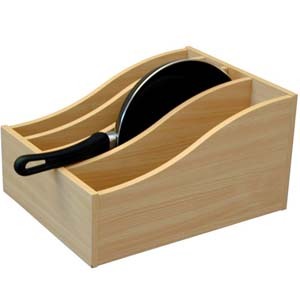 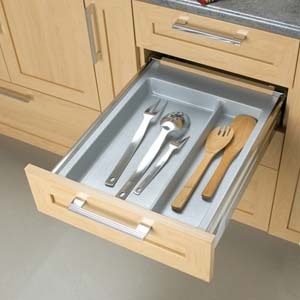 Knives, forks, spoons, spatulas, ladles, pots, spices: with Aero Kitchen's dividers, every object has its place! 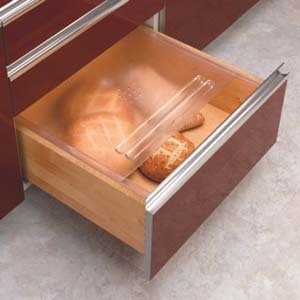 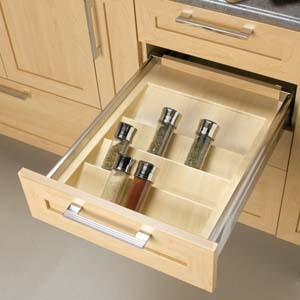 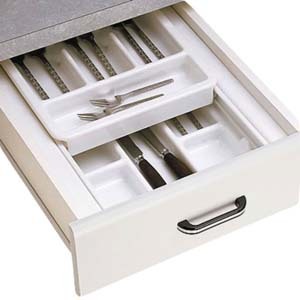 A well-organized drawer lets you save time and makes cooking a true pleasure. 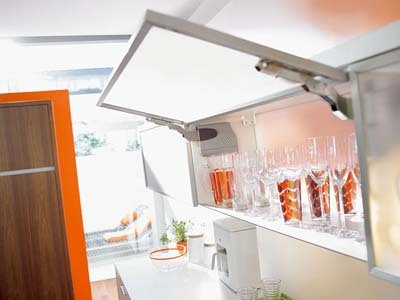 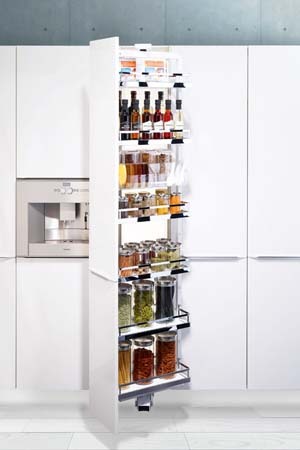 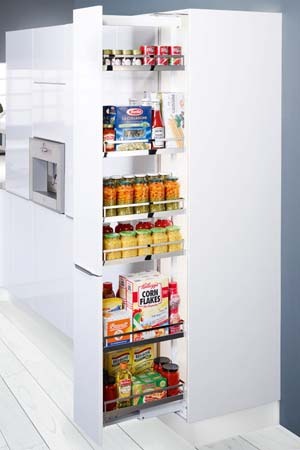 Store all your snacks and drinks in these Pull-out pantries. 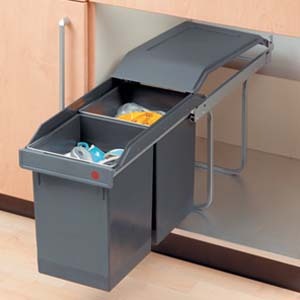 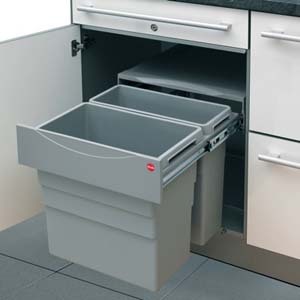 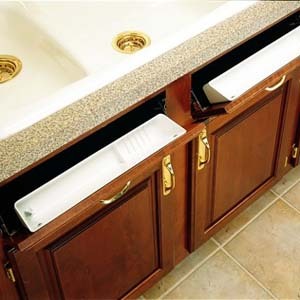 These bins can be installed around the sink to make cleaning up after a meal much simpler. 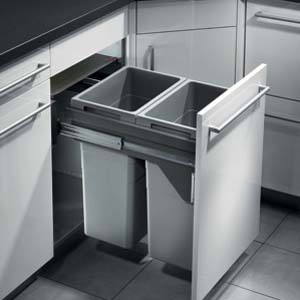 There's room for both a waste and recycling bin.